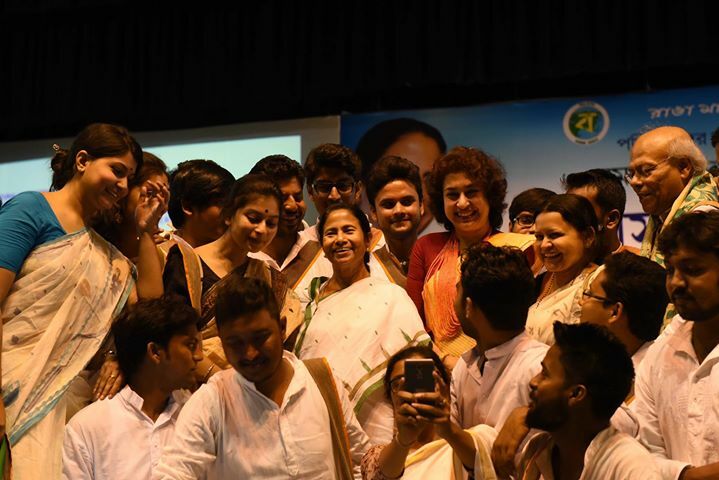 Bengal Chief Minister Mamata Banerjee chaired the administrative review meeting for the Birbhum district at Bolpur on Monday. In the meeting, she highly appreciated the Birbhum district administration for executing various development and welfare programmes. Apart from government officials, a group of students from Visva-Bharati University were present in the administrative meeting. The Chief Minister said the state government would provide Rs 2.5 crore to each district to improve traffic infrastructure. She once again urged senior police officers to bring down road accidents by enforcing the guidelines given under “Safe drive save life” scheme. The instructed the hospital authorities to maintain proper contact details of the patients admitted to the hospital from other states. “Record of patient/families’ address should be maintained so that information can be provided. Their permanent address, current residential address should be recorded,” she said. “Now we have started inviting university students to administrative review meetings in the districts to let them have a first-hand feel of how this unique exercise of review of government schemes is made with field-level functionaries in presence of senior officers. 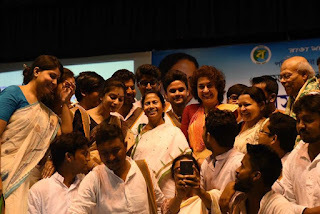 First, it was Rabindra Bharati University at Howrah. Today, it was Viswa-Bharati in Bolpur.